Hey ya’ll! I’m Heather and I blog over at we.are.the.holdens. I am super excited to be here and feel honored that Laura would share her space with me today. Laura is truly a beautiful person inside & out and I'm so thankful for her friendship. I’ve been married to my high school sweetheart for 15 years_ I’m a mom to 3 beautimus kiddos_ and most importantly a Jesus follower. recipes_ thrift finds_ and the latest “happy” I’m working on...a lot of randomness. My shop, heathershappys.com, is a new venture I have stepped out in. It was born out of the need to express & create. a fun fabric_ a flowery ring_ a vintage inspired headband...but hopefully, what I create will do just that, bring a smile to your face. I would luv to get to know you. So stop by my blog and introduce yourself! Heather is truly one of the sweetest people. She made this adorable headband just for me! I absolutely love it and wear it all of the time! 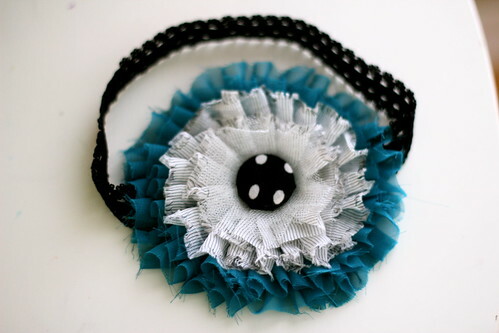 And she is giving one of you the chance to win this "Teal Tuxedo" headband. Also, Heather is generously offering a 20% discount using code FALLSALE. 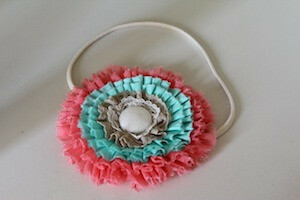 Head over there quick and grab an adorable headband for fall! If you purchase something from her shop, leave another comment letting me know for another entry! Be sure to leave a separate comment for each entry. This ups your chance to win. I love the Happy Yellow Button headband. All of her stuff is completely adorable!!! I love the bubblegum blue necklace!! Thanks to both of you for the giveaway! 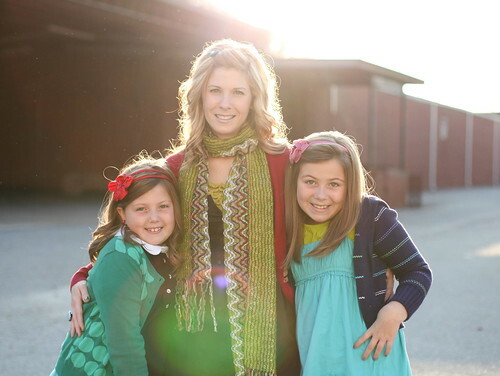 I'm now following Heather's blog! I like the Happy Candy Apple headband and the Bubblegum Blue necklace! the teal tuxedo headband is delightful. I absolutely love the bubblegum necklace! Looooveeee the Bubblegum necklace. sooo cute. I really like the Olive flower drop necklace! Im a follower of Heather's Blog now! Always a faithful follower of Splendor!! I love the teal tuxedo headband! CUTE!! I like the olive drop necklace. I follow Heather as well. I love the happy stripes clip! Im also a follower here and would love to win! Ok I couldnt help myself. I went ahead and used the discount code to get started on my Christmas shopping. I bought the Teal Tuxedo(headband) and the Happy Coral Expresso(headband). Id love to win another Teal Tuxedo for myself! I'm a new follower of your blog! Coming over from Casey's! LOVE the headbands! I love the Bubblegum Necklace Red - Super Cute! i love the "Happy Sugar" Headband!! She creates such beautiful pieces!!! Happy Bits of Splendor is absolutely my favorite though. I love coral. I thought I entered already...!! I LOVE the happy stripes clip! I love the happy mustard headband! !